What is Unified Data Management? United Data Management (UDM) describes the process of consolidating disparate data sources to create a single data narrative within a data warehouse. Siloed data obfuscates the bigger data picture and prevents data from being effective and actionable. UDM fosters interdepartmental cooperation by creating a centralized data repository through which all company data is parsed, cleaned and analyzed to produce actionable insights. With one platform handling data migration and readiness, IT personnel and non-tech users throughout the company have a shared language through which to communicate about, develop and act on data findings. Big data is requiring businesses to sift through ever-expanding types and sizes of datasets. As such, subscribing to a central cloud-based UDM is a cost-effective method for businesses to take control of these huge datasets. In this way, companies can improve critical BI metrics such as the quality of aggregated data and the ability to scale. 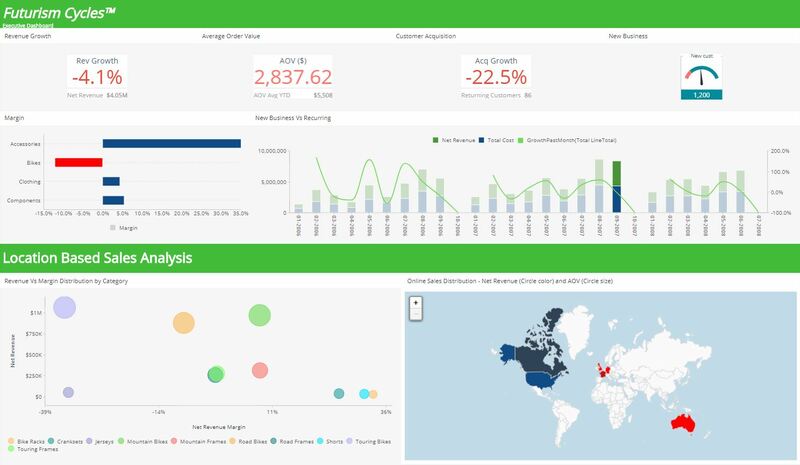 As a segment of embedded analytics, UDM can be integrated with cloud, on-site, or hybrid data infrastructures to optimize data for business applications. How Can I Use Unified Data Management? The holistic unified data model that UDM offers can have a transformative impact on how companies of all sizes leverage their data to meet business objectives. Firstly, one IT team can take responsibility for overseeing the migration, merging, cleaning, and analysis of all data, reducing both personnel and data redundancies. Moreover, UDM platforms are designed to be accessible to employees with different levels of technology comfort, encouraging staff members from different units to adopt the technology and act based on the prescriptive analytics of the model. SMBs can use UDM to automatically organize consumer info and touchpoints to visualize customer journeys and generate personalized marketing strategies. As an agile model, the UDM platform is built to scale alongside SMBs as their strategic data needs shift and grow. Larger companies can benefit from the UDM’s ability to quickly process and analyze massive varied datasets. A global pharmaceutical company can use the unified data model to efficiently merge structured and unstructured sales data from a specific market to visualize important metrics like top-performing medicines and payment methods. The UDM’s prescriptive algorithms can then recommend how different actors on the sales pipeline, from production to distribution to marketing, can improve based on this new understanding of the data.